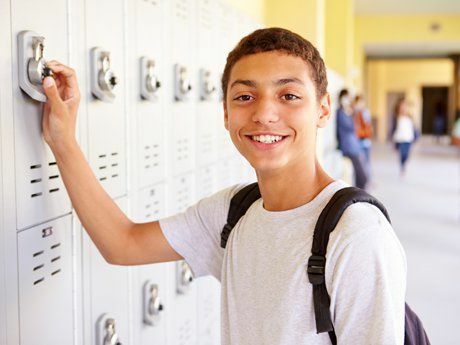 Students develop academic honesty when you build their moral vocabulary, respond appropriately to cheating, use meaningful quotes, and inspire them to believe in themselves. In looking for people to hire, look for three qualities: integrity, intelligence, and energy. And if they don’t have the first one, the other two will kill you. We live in an age where "the end justifies the means" has become the mantra of far too many adults who are role models for children. Nowhere have the circumstances and fallout been more disheartening than in the recent Atlanta school cheating scandal. Admittedly, the underlying issues that lead to dishonesty are often complex and multidimensional. People rationalize their actions with seemingly valid reasons. But as Buffett suggests, a lack of integrity comes with a high price tag. How do children learn to be honest, respect societal norms, and act in ways consistent with the values, beliefs, and moral principles they claim to hold? How do teachers instill and reinforce a code of ethics in their classrooms when evidence suggests that high-stakes testing fosters a culture of dishonesty? These are tough questions. Children are not born with integrity or the behaviors we associate with it, like honesty, honor, respect, authenticity, social responsibility, and the courage to stand up for what they believe is right. It is derived through a process of cultural socialization -- influences from all spheres of a child's life. In their school environments, students acquire these values and behaviors from adult role models and peers, and in particular, through an understanding of the principles of academic integrity. When students learn integrity in classroom settings, it helps them apply similar principles to other aspects of their lives. In past decades, it was the struggling student who was more likely to cheat. Today, more above-average students are cheating as pressure mounts to be accepted to competitive colleges. Students who cheat feel justified in their behavior and unfairly disadvantaged if they approach their studies with integrity. Cheating begins in elementary school where children learn to bend rules to win competitive games against classmates. Young children believe cheating is wrong, but could be acceptable under certain circumstances. Middle school students feel increased pressure to be dishonest because there is more emphasis on grades. Cheating peaks in high school when 75 percent of students admit to some sort of academic misconduct. Integrity is part of the Compass Advantage (a model designed for engaging families, schools, and communities in the principles of positive youth development) because integrity is the basis of social harmony and action. Despite societal forces that test integrity, children deserve a world that values truth, honesty, and justice. Linked by research to self-awareness, sociability, and the five other abilities on the compass, integrity is one of the 8 pathways to every student's success. 1. Infuse integrity into the classroom culture. Teachers make integrity the norm in their classrooms in several important ways. They clearly articulate expectations about academic integrity and the consequences of cheating. But they go beyond the issue of cheating to create a culture that rewards success beyond grades. If students have only grades to measure themselves, then cheating is often a justifiable strategy to beat the system. If students are also rewarded for their courage, hard work, determination, and respect for classmates, they see and understand that the process of learning comes first. This kind of culture fosters integrity. 2. Develop a moral vocabulary. Incorporate the teaching of these five values into the curriculum and help students use the vocabulary to discuss a variety of historical topics and current events. While dishonesty and disrespect flourish in civil society, ask students to find examples of how individuals stood up for their beliefs and values in ways that made a difference for themselves or for the world. 3. Respond appropriately when cheating occurs. While teachers cannot control student behavior, they can respond with consistency when enforcing school and classroom policies. In a classroom culture that places learning first, dishonest behavior is a teachable moment. To help internalize learning, ensure that students reflect on and glean meaning from their behavior. Listen and show respect for their thinking, and then restate your expectations that dishonesty is never acceptable in your classroom. 4. Use quotes to ignite meaningful conversations. Famous quotes can be used as conversation starters, prompting students to reflect on topics related to integrity, moral development, and other attitudes that help them develop positive work habits and respectful relationships. Elementary school teacher Steve Reifman uses a "quote of the day" as a positive morning exercise in his third and fourth grade classes. In his book Changing Kids' Lives One Quote at a Time, Reifman provides helpful facilitation tips and prompts for teachers to engage students in reflective conversations. Quotes can be used with students at almost any age. For older students, they are often used as starters for journal or essay-writing projects. See a superb collection of quotes related to the five values of academic integrity (PDF) written by students at American University in Dubai. Also view famous quotes on the same five values, compiled by the ICAI. 5. Help students believe in themselves. When young people learn to believe in themselves, dishonesty and disrespect no longer make much sense. Living with integrity becomes a way of life. How have you developed a culture of integrity in your classroom?